Diet tips for truckies may sound comical, but professional drivers have many health issues related to their diet. Truckies and transporters have to deal with a lot of physical activity during their working day; There’s unloading, loading, adjusting, fixing and then it all begins again with some reloading. The other side of a driver’s life is spending long hours behind the wheel without much time to stretch your legs and certainly no facilities to knock up a fantastic healthy lunch which hits all your macros! Drivers can be left feeling hungry and with little options,paving the way for temptation to grab a hot pie from the Servo, or a value meal from the local drive through. Neither are great options for your health or your waistline. Transporters need to have pep in their step and energy to unload cars, furniture, white goods and, well, anything Australians need moving! Start your morning with some good old-fashioned protein, even eggs and bacon are a cracking start, but stay away from fried, and look for a quicker, healthier option. You can even prepare them the night before! Buy a pack of muffins on the weekend, cook up a batch of scrambled eggs and grill some bacon. 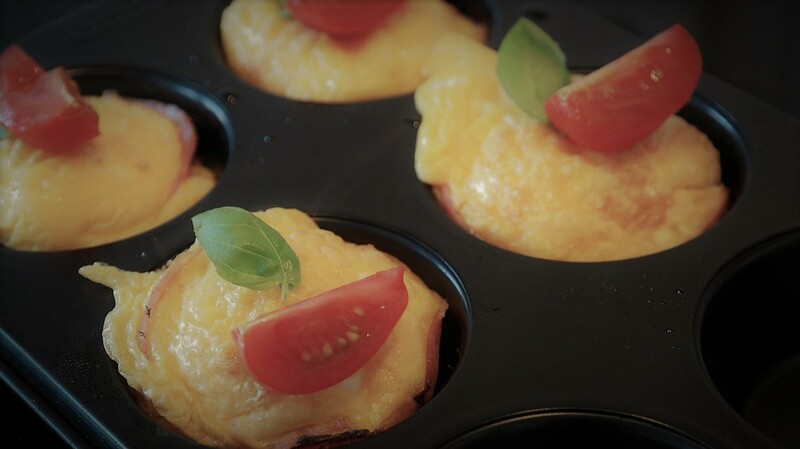 Assemble egg and bacon muffins, then pop them into individual ziplock bags and chuck them in the freezer. Voila! When you wake up at the crack of dawn, you can blitz one in the microwave for 60seconds, and you can be out the door with a tasty protein packed brekky to start your day! It’s better to eat little and often to stave off the temptation go large on your takeaway meal deal when the clock hits noon. Keep a supply of unsalted nuts, wasabi peas and even some dried fruit in your cab and eat them when the morning and afternoon tea hunger pangs hit. Steer clear of supermarket trail mix though, as these can contain large amounts of sugar. Yes, we all know we need to stay off the soda, but when you’re out on the road, and there’s a two-for-one deal on the fizzy stuff it can be all too easy. Opting for a sparkling water as an alternative gives you the refreshing fizz, but without the sugar and caffeine. If you’re used to caffeinated drinks, you may experience some withdrawal symptoms, but after a few days, you’ll feel more vital and alert without the afternoon sugar crash and headaches. It can be hard to fight temptation at the petrol pump counter when there are offers for a king-size chocolate bar staring you in the face. There are some great alternatives though, look for higher cacao chocolate which isn’t as bad for you, or choose a chocolate protein shake or smoothie instead. Double check the ingredients on the pre-packaged stuff as sugar content can be off the charts, especially in iced coffees. Food Prep For Added Buffness! It may seem labour intensive, but prepping lunches for the week takes no time once you get into your groove and provides you with tasty, varied meals every day of the week. There are plenty of recipes on the Internet, and it’s all about the base! Set up five food-safe containers, fill them with combinations of your basic veggie and grain choices, and then add varied protein for each day. You get tasty, protein packed foods, and you’ll save money on all those takeaways you won’t be buying! The key is balance and if you have weak willpower, or find the switch overwhelming, just focus on one thing at a time until it becomes second nature. Also remember, fast-food is delicious but it should be your Friday arvo treat after a long, hardworking week behind the wheel.